The Big “M” Casino Fort Myers Beach crew and I are super excited that you have chosen us as your favorite place to “get your gamble on” in Southwest Florida. FREE membership – best Casino Players Club, which can give you cash back on slot points earned. So now that you have decided to make us your favorite for the 12th year in a row :), we’d like to give a little something back to you. 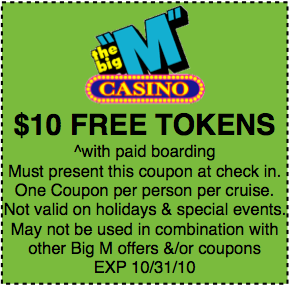 How does a Big “M” Coupon (Valid through 10/31/10) for your next visit to the Big “M” Casino cruise on Fort Myers Beach sound? Great! We look forward to seeing you again. Thanks again for all your loyal support! 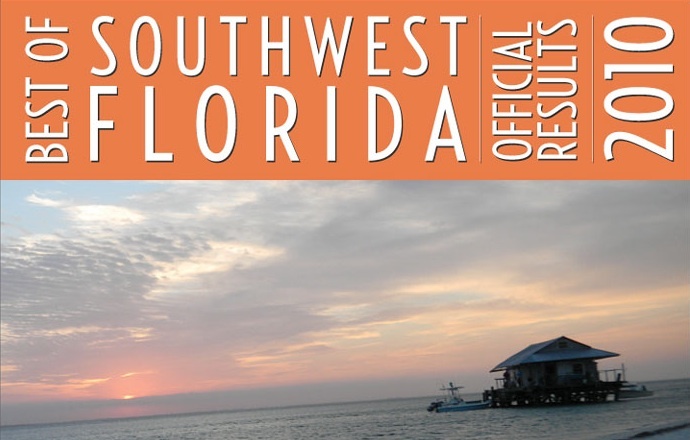 If you are interested in a Fort Myers Beach Casino Cruise or simply want more information – feel free to contact us or call us at (239) 765-7529.